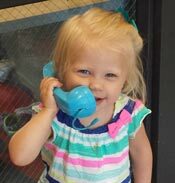 The Perry Early Education Center is the beginning steps to your child’s education journey. Our center offers a safe and secure place for your child to grow in all areas of development. Our goal is to provide a quality, stimulating, educational and positive experience for the children of working families. Click here to download the 2017-2018 Great Start Readiness Program Application. We are proud to offer before and after school care for the children of Perry Public Schools. Our program is housed inside Perry Elementary. The program offers arts crafts, hands on activities, physical activities, outdoor experiences and healthy snacks. The program is offered during school breaks as well as summer. The Great Start Readiness Program is a prekindergarten program for qualifying children who will be 4 years old by September 1st. Our program is designed to increase a child’s school readiness skills. We offer both half and full day classrooms. In our classrooms, children will experience: language/literacy instruction, hands on math, science, music and art. Classes enjoy field trips, healthy snacks, family events and outdoor experiences. The Perry Early Education Center is a licensed child care facility that offers many resources to the families of Perry and the surrounding area. We accept children ages 2 weeks – 5 years old. The center is open year round and is housed inside of Perry Elementary School. Our classrooms offer developmentally appropriate activities, healthy meals outdoor activities all under the supervision of caring adults.